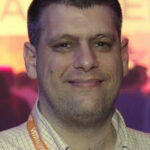 Carlo Costanzo (Me) – I am a Senior Virtualization Consultant working in New York City for IPM. I have been with IPM since 1997 and have focused my energy on Server Virtualization(VMware/Xen/Hyper-V) and Application Delivery (Citrix/TS). Read my scribbles at vCloudInfo.com.